The Berlinale is the city’s most glamourous event. With more than 400 films shown it attracts the elite of the film industry as well as the largest audience of any film festival in the world. Berlin is famous for being a cosmopolitan, exciting capital with international appeal. This becomes particularly apparent during the Berlinale, one of the most important events in the international film industry’s calendar. More than 19,000 film professionals and critics as well as numerous film fans from more than 120 countries are accredited for and visit the Berlin International Film Festival each year. With more than 300,000 tickets sold, the Berlinale draws the largest audience of any film festival in the world by far. The festival has much more to offer than just the screening of films. For two weeks, workshops, panel discussions and joint projects inspire creativity and encourage collaborations of all kinds. And at the exclusive Berlinale parties, people, art, glamour and business meet. 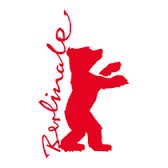 The Berlinale’s programme includes about 400 films every year that are open to the public, the vast majority of which are world or European premieres. Films of every genre and format can be submitted for consideration. The programme is divided into different categories, each with a unique profile: major international productions in the Competition, independent and art-house productions in Panorama, films for a young audience in the Generation category, the most exciting German cinema productions in Perspektive Deutsches Kino, an in-depth look at films from “distant” countries and experimental forms in the Forum, as well as an investigation of various other cinematic possibilities in the Berlinale Shorts. The programme is topped off by a thematic Retrospective as well as a Homage that focuses on the life’s work of a great film personality. Both these categories, which are curated by the Berlin Film Museum, aim to place contemporary cinema within a historical context. The European Film Market (EFM), a film trade fair that is part of the Berlinale where 400 companies and 8,000 film professionals foster synergies, has developed into one of the most important events for the international film business. The Berlinale and the EFM, the festival and the market, form a unique network of formal and informal connections- also to the benefit of Berlin as a location for film-making.